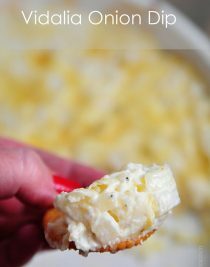 Vidalia Onion Dip is another easy recipe I throw together time and again for entertaining. Or just because it’s a random Friday night. We love this stuff and when Vidalia onions are in season, I make it as often as I can. 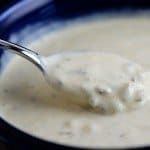 Full of scrumptious Vidalia onions, two cheeses – cheddar and Parmesan, and some mayonnaise, it really is one of the easiest recipes. But then again, most delicious Southern recipes are like that. Take a few simple ingredients and use them in a basic preparation that really lets them shine. Vidalia onions are currently at the prime for the season. You can generally find them in the grocery stores or farmer’s markets this time of year. (At least in the South you can). Be sure to pick up as many as you can and use my Grandmother’s method for how to keep onions so you can use them all throughout the summer and on into the fall. Being a Georgia girl, you know we keep plenty of those sweet Vidalia onions on hand for any number of recipes! If by chance you are in an area where you are unable to purchase Vidalia onions, use the sweetest onions you can possibly find. 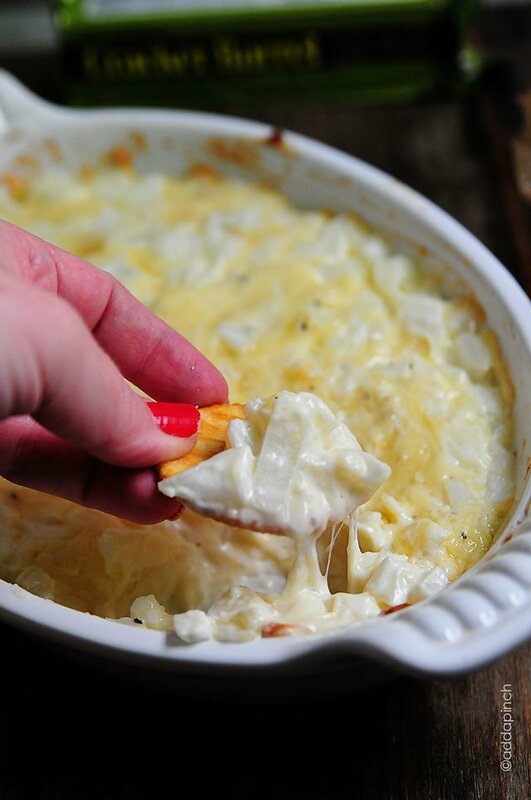 Here’s the recipe for this classic Vidalia Onion Dip. 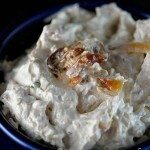 Vidalia Onion Dip is perfect for serving anytime of the year, but especially during the summer and fall. 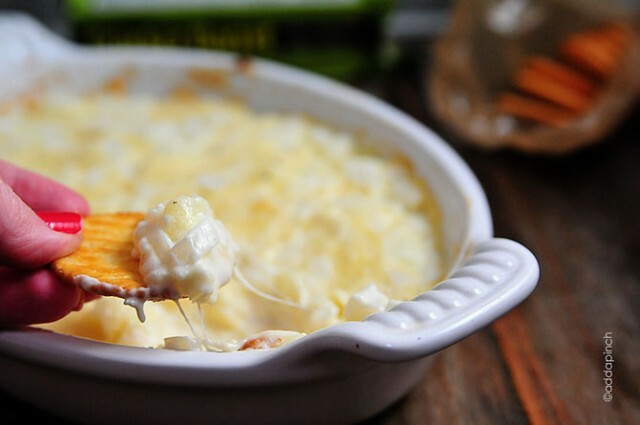 This crowd-pleasing Vidalia Onion Dip is perfect for entertaining. Mix onion, cheeses, and mayonnaise together in a mixing bowl. Pour into a small baking dish and bake until cheese has melted and become bubbly, about 20 minutes. I looove onions, and this dip looks heavenly! Can’t wait to make! Yummm!!! What an addicting dip!! Looks so good! I’ve been making this recipe with swiss cheese for years, funny part is that I have company in for my son’s high school graduation and made it last night for tonight. It never fails that people beg for the recipe. It’s so amazingly good!!!!! Well, I planned tonight as my night off from cooking – the first in like a month. Then I woke up and found this post/link waiting in my email. Now, we are getting carry out but also having an appetizer HA! I ran out and got my two onions first thing this morning! I love Vidalia onions. This looks like such an easy and tasty recipe that I’ve pinned it. 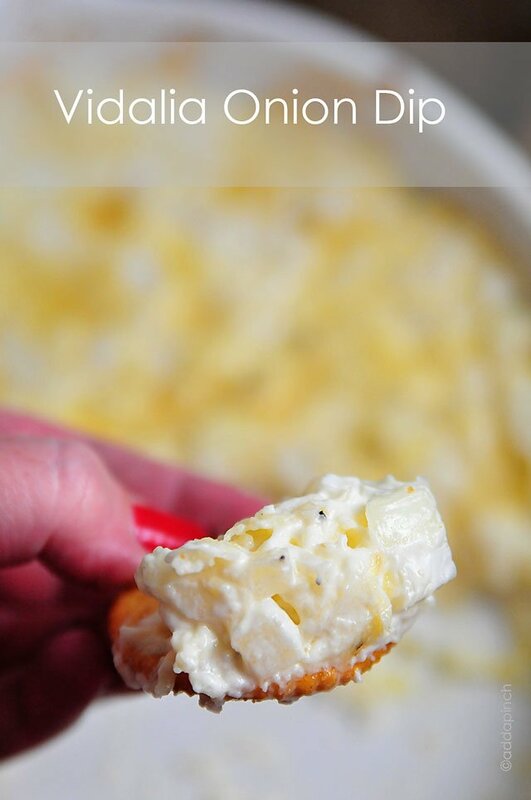 Hello from Iowa 🙂 This onion dip looks wonderful…..
We have so many onions to harvest from the garden and I think this would be a perfect treat for my onion loving husband! Thanks! I made this for lunch yesterday, served with homemade crostini, and it was delicious. My son made me promise to keep the recipe, and I shall! Thanks, Robyn. can you use miracle whip? or does it have to be mayo? Wow this looks amazing, Robyn! Sweet Vidalia Onions and those Sweet Georgia Peaches…just two great things we get from Georgia! I know…peaches have nothing to do with this recipe. Love the dip recipe and your Grandmother’s method for storing them. You know I’m pinning it! Robyn, Pinterest just sent me a notice that they deleted my pin of this recipe due to a copyright complaint… do you not want us pinning your recipes? Just wondering, as I’m sure I’ve pinned many from your site. There was a pin that had the entire recipe and a portion of my post copied and pasted into the description of the pin and on into the comments until the whole post was copied and pasted into Pinterest. It wasn’t your pin at all, but Pinterest told me the only way to have my post removed from the pin was to have all the related pins removed. I hate that it sent you that message! I, too had this recipe deleted. I do follow you and if we are not supposed to pin your recipes, maybe the pinterest button needs to be removed. hank you. Thanks for letting me know about the pin issue. As I mentioned to Jennifer in the previous comment, the issue was not your pin, yet all pins with that image were removed by Pinterest. I didn’t think it was going to be fantastic but it was FANTASTIC!!! So simple and just perfect! We did it as a side dish for kabobs just to change things up a bit. Thank you for a recipe that will be handled down for generations! What would you use a substitute for the mayo? I can almost taste the flavors. I’ll be making this for the weekend! This is the worst recipe I have ever down loaded. Do not make it! I’m sorry it wasn’t to your liking. Robyn, this recipe is heavenly! As a lover of onions, I couldn’t get enough of this dip. Unfortunately, I had to share it, but I could have eaten the entire bowl by myself. 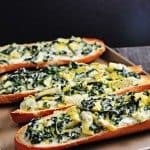 Thank you for sharing this outstanding recipe! So glad you love this dip. Isn’t it a shame that we have to share sometimes?